In front of the hotel I saw a small beautiful сhurch. As I later found out, this is a private chapel of the Piro family (Cappella Gentilizia Calise Piro на карте). 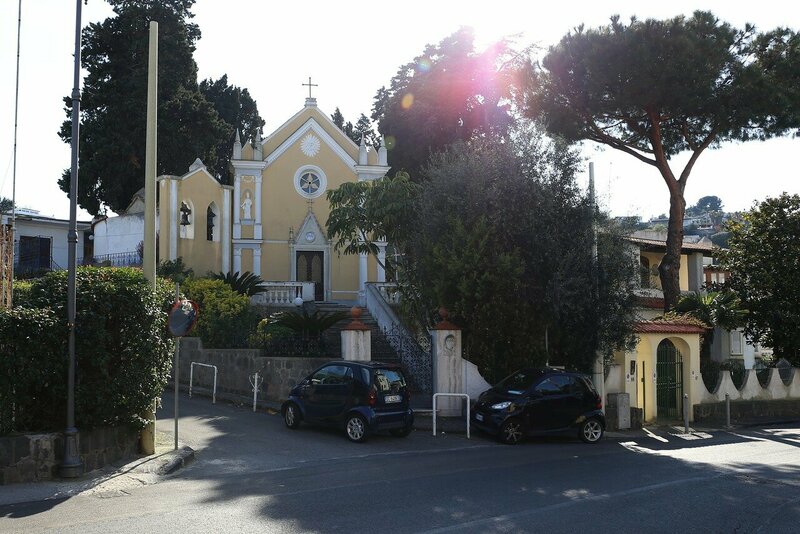 Locals often call it the "Chapel of the Pieta" (Cappella della Pietà). 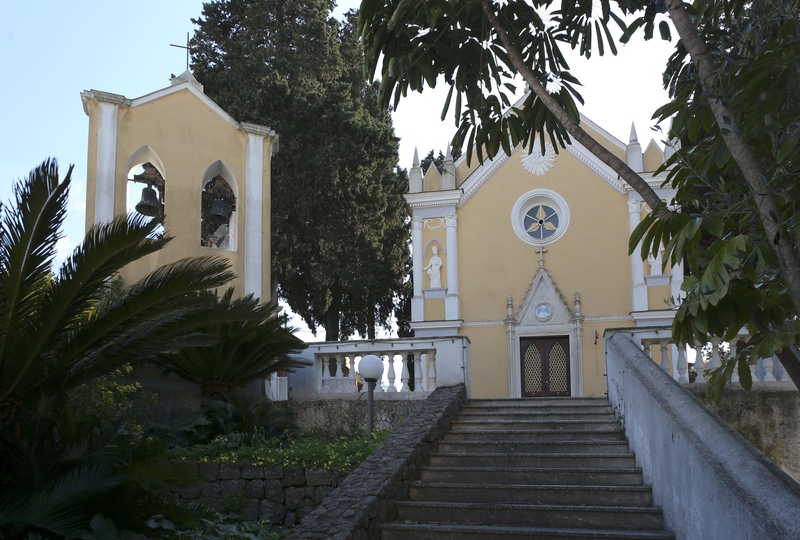 The chapel was built in 1893 at the expense of Carlo Pyro. The building, decorated with white marble looks very harmonious and elegant. Inside is an altar of colored marble, an organ decorated with wood carvings by Giuseppe Galasso, and several paintings by different masters. The second name of the chapel gave a copy of the painting "Pieta with saints Francis and Mary Magdalene" by Annibale Carracci. 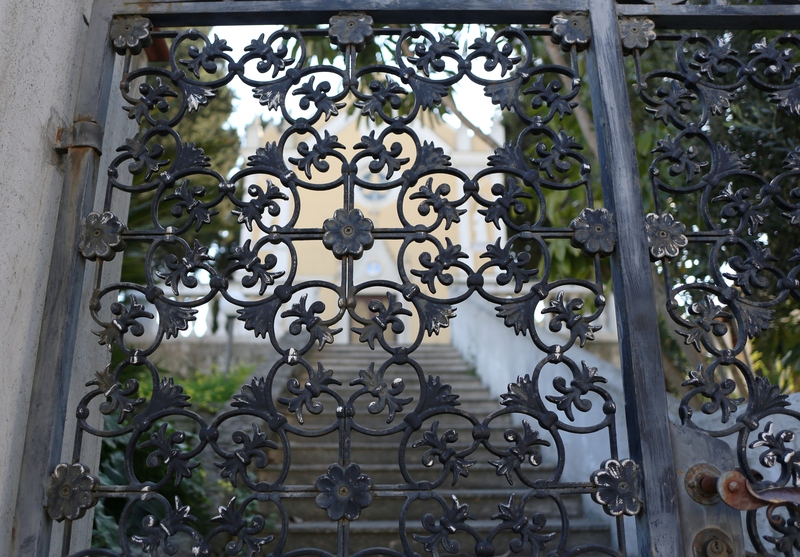 The gate, of course, was locked, left only to marvel at the sample of forging skill. I do not know whether it is possible to get inside somehow, there is no information about it, I also did not find photos of the interiors.